Have you ever noticed how certain types of blog posts stop you in your tracks and draw you in? Here are the secrets behind the ways in which posts engage you. Pat Iyer gives you the top 9 types of blog posts to aid you in your blogging. Listen in as Pat Iyer chats about these points. What are the top 9 types of blog posts and why are they so popular? 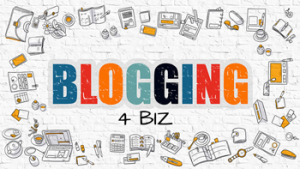 This FREE webinar is an introduction/overview of the full course “Blog Like a Pro: From Post to Profit!” taught by Debra Lloyd and Pat Iyer. In the free webinar and the full course, Pat and Debra’s focus is on what they know and love. They teach you about what blogging can do for your business. Debra Lloyd teaches you “How to Tame your Tech”. You will learn how to quickly create blog posts specifically designed to drive high-quality traffic turning your website into a lead generating machine. You’ll learn critical and valuable tips just by joining us on the FREE Webinar. Get this program at this link: http://LNC.tips/blogging4biz and complete the registration form to claim your seat for the replay. Pat Iyer has been a legal nurse consultant since 1987 when she first began reviewing cases as an expert witness. She achieved national prominence through her texts and many contributions to the legal nurse consulting field. She loves to blog and has been doing so since 2009.